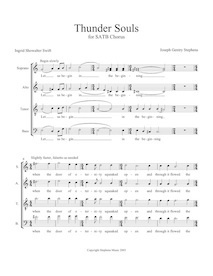 73157 for SATB voices unaccompanied. 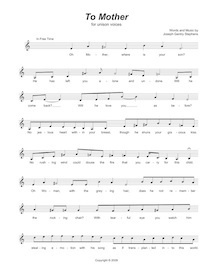 Text is numerals generated by a random number generator and can be sung in any language. 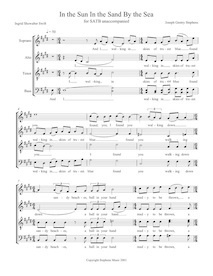 Being Not Proud for SATB voices (divisi) unaccompanied. Text by Ingrid Showalter Swift. 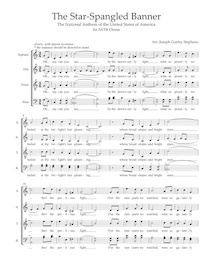 In the Sun In the Sand By the Sea for SATB voices (divisi) unaccompanied. Text by Ingrid Showalter Swift. 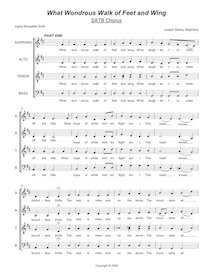 I Wish for SATB voices (divisi) unaccompanied. Text by Ingrid Showalter Swift. 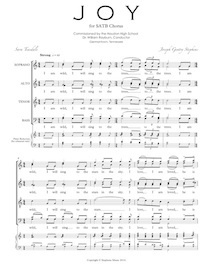 JOY for SATB voices (divisi) unaccompanied. Text by Sara Teasdale. 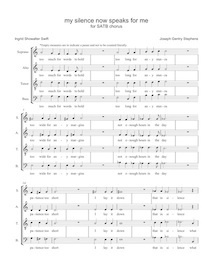 Laugh You Fool for SATB voices (divisi) unaccompanied. Text by Ingrid Showalter Swift. 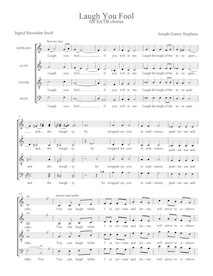 My Silence Now Speaks for Me for SATB voices unaccompanied. Text by Ingrid Showalter Swift. 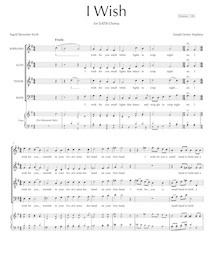 Orchid for SATB voices (divisi) and piano. Text by Taigu Ryokan. 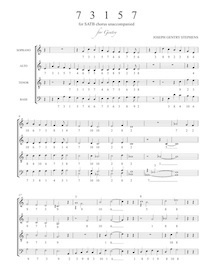 Rain for SATB voices (divisi) unaccompanied. 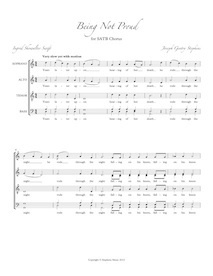 Original text. 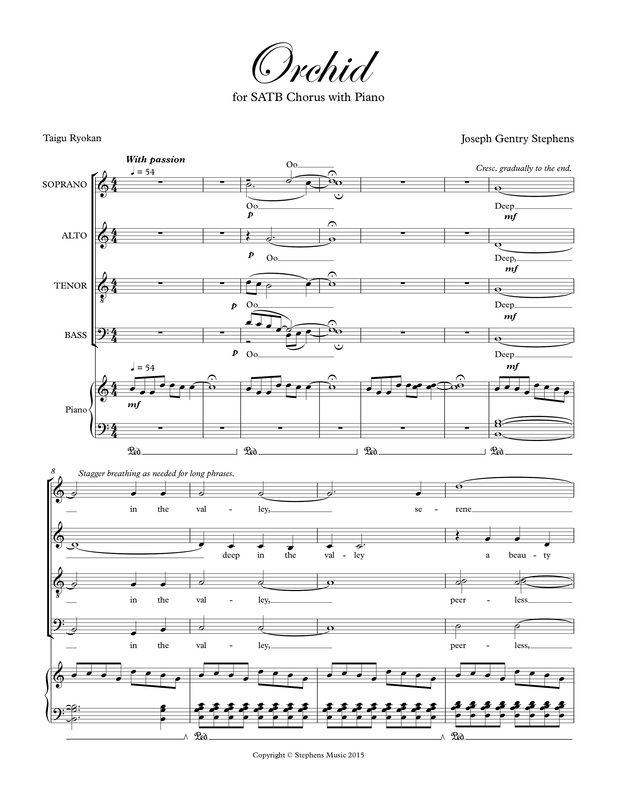 RO and Tine for SATB voices unaccompanied. Text by Ingrid Showalter Swift. 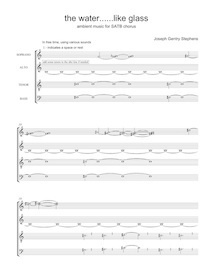 Serengeti Song for SATB voices (divisi) unaccompanied. Text by Ingrid Showalter Swift. 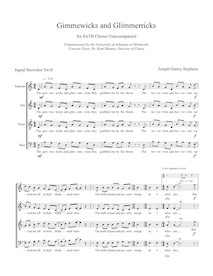 The Star-Spangled Banner for SATB voices (divisi) unaccompanied. Text by Francis Scott Key. 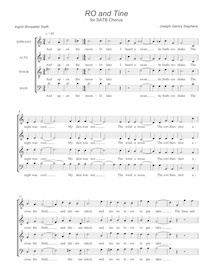 the water...like glass for SATB voices (divisi) unaccompanied. No text. 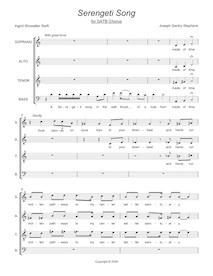 Thunder Souls for SATB voices (divisi) unaccompanied. Text by Ingrid Showalter Swift. To Mother for unison voices. Original Text. 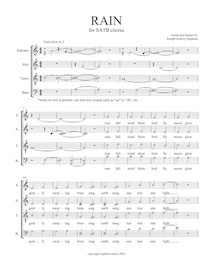 What Wondrous Walk of Feet and Wing for SATB voices unaccompanied. Text by Ingrid Showalter Swift.